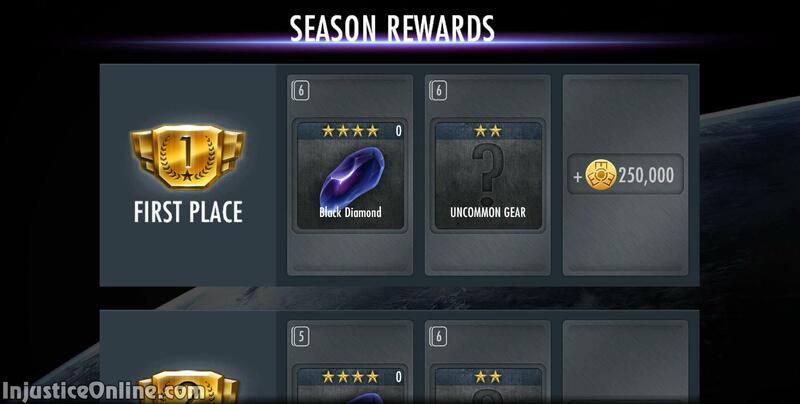 The Black Diamond Gear has been added with Injustice Mobile version 2.16 in July 2017. 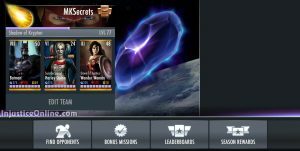 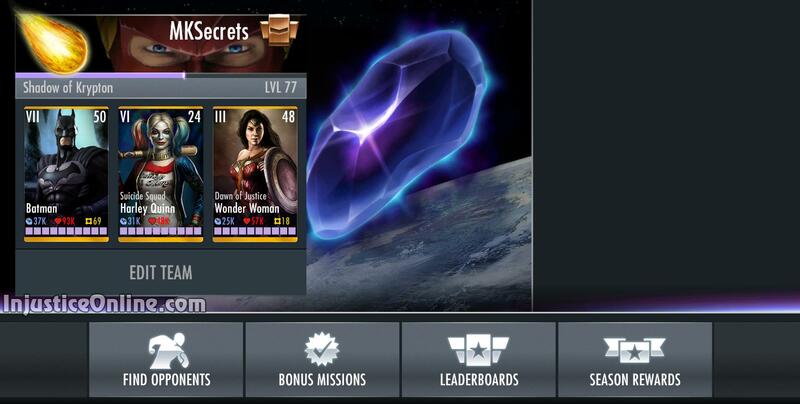 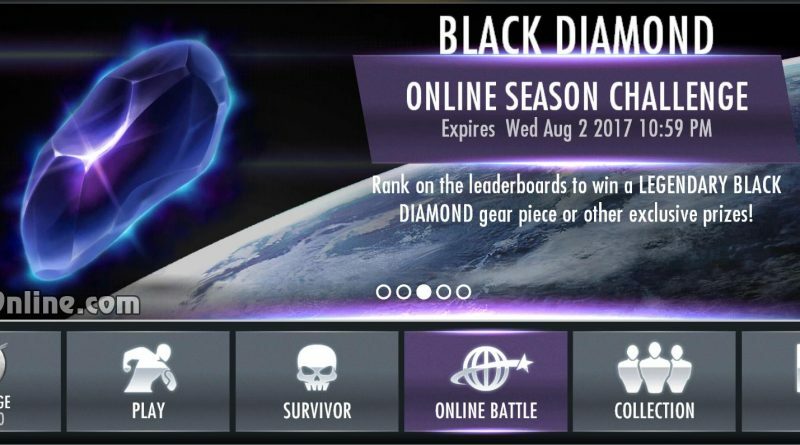 The Black Diamond is a mystical diamond from Darkseid’s Apokolips and can be obtained though the multiplayer challenges of the game. To obtain the gear you need to rank among the top 5% players during an multiplayer season that offers the gear card as a reward.